Mineral Policy Institute (Australia) Charles Roche has held the position as Executive Director of the MPI since 2008. He holds degrees in Industrial Relations, Politics, and Applied Environment Science from the University of Western Australia and Murdoch University. He has previously worked as the Outback Conservation Manager of the Wilderness Society, Australia, and as the Coordinator of the Environment Centre Northern Territory. Prior to the commencement of his PhD candidacy at Cambridge, Ruben studied a Master of Philosophy degree at City University of Hong Kong, where he received the Hong Kong Political Science Association's Best Graduate Thesis Award. He has also studied and collaborated with institutions such as the Autonomous University of Madrid (Spain), Tufts University (US), Peking University (China), University of the Pacific (Peru) and FLACSO Ecuador. He has a forthcoming article in The Pacific Review entitled "China's engagement in South America and Africa's extractive sectors: New perspectives for resource curse theories". Before joining SAIIA, he worked as a consultant to corporations active in Africa’s extractive industries focusing on the overlap between political conditions, conflict, market trends in the commodities sector, and social issues that arise around mining and oil production sites. He regularly comments on African political issues with specific focus on resources, political development and Africa’s international relations. Jacinto’s involvement with the South Africa minerals and mining sector dates back to 1994 when he was a Policy Researcher on mineral rights and later as Manager for the Mineral Rights Research Programme at the Minerals and Energy Policy Centre (MEPC). In 1997 he joined the then Department of Minerals and Energy (now Minerals Resources) as Director: Mining Rights where he later became Chief Director responsible for Mineral Resources Management until 2005 when he assumed the position of Deputy Director General: Mineral Regulation until recently when he resigned from the department to become an Independent Mineral Law and Management Consultant. Jacinto was a senior manager in the South African public service for 13 years. Before 1994 he served in various capacities within the ANC: Radio Freedom, Mayibuye Editor, member of the ANC Politico-Military Council, and Deputy Head of the Department f Information and Publicity, and as part of the ANC negotiating team. He has been a member of the National Executive Committee (NEC) of the ANC since 1991. Mr. Duma Gqubule was formerly a senior policy advisor for the Department of Transport and has extensive experience as a researcher and practitioner on Broad-Based Black Economic Empowerment (BBBEE) for the public and the private sector. Currently, he is one of the Directors at KIO Advisory Services, a leading consultancy firm specialising in technological and software solutions for BBBEE. Mr. Gqubule has also worked as a financial analyst, served on the BEE Commission, and has edited a book titled Making Mistakes, Writing Wrongs: Insights into Black Economic Empowerment. Mr Manamela began his career as a political activist in his home township of Phagameng in Limpopo where he was active in COSAS and led the Student Representative Council while at Phagameng High School. He continued with his activism and played a significant role towards the launch of the SASCO branch at the Mamelodi FET College campus. In recognition of his leadership qualities he was elected SRC president at the college. Later he went on to serve as the National President of the South African Colleges Students Association. He has held various positions in the South African Students Congress including serving as Chairperson of Gauteng and its Deputy President from 2001 – 2002. Frans Baleni is general secretary of South Africa's largest trade union, the National Union of Mineworkers (NUM). He is also a nonexecutive director of Rand Mutual Assurance, which looks after injured mineworkers; chairman of the Mine Workers' Investment Trust; and executive member of the International Federation of Chemical, Energy, Mine and General Workers' Unions. Between 2003 and 2006 he held several positions at Eskom, including those of nonexecutive director and chair of the tender committee. Baleni joined NUM in 1982, was elected as a shop steward in 1983 and rose through the ranks to become branch chairman at the Western Holdings mine in Welkom in 1988. In the same year, he was dismissed after allegedly inciting staff to participate in a Cosatu strike. 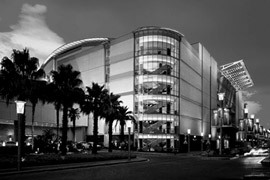 Dr. Pley joined McKinsey’s German Office in 1994, and relocated to the South African Office in 1998. He is a Partner and a leader of McKinsey’s global Basic Materials practice. 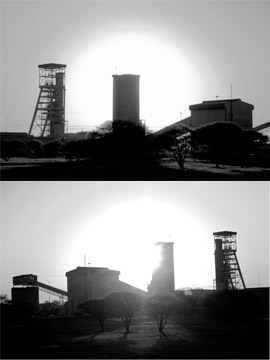 Heinz has served mining and other basic materials clients globally across a broad range of issues, including organizational review and redesign of numerous mining companies, and the development of purchasing strategies across fivedivisions of a South African coal mining and petrochemicals company. As a leader of McKinsey’s global Basic Materials Practice, Heinz is responsible for the company’s mining knowledge and has led the following research efforts: the application of value-based management principles to mine planning, mining excellence diagnostic (MED2) benchmarking tool and database, sustainable performance transformation of mining companies, and managing capital expenditures for maximum value creation. Mr. Cronin has served as a member of Parliament since 1999 and Deputy General Secretary of the South African Communist Party since 1995. He was the Co-Convenor of the Reconstruction and Development Programme Drafting Committee (1993-1994), a Negotiator in the CODESA Multi-Party Negotiations (1993-1994), and a Political Education Officer of the United Democratic Front in Cape Town. Ms. Langeni holds a range of directorships, including Deputy Chairperson of the South African Women in Mining Association (SAWIMA) and the Director the South African Women in Mining Investment Holdings (SAWIMIH). Her other directorships include the National African Women’s Alliance, the Protea Hospitality Group, Nexus Connection as well as the Chairpersonship of Nexus KZN. Her passion for gender equality issues is exemplified by her engagement as a member of the Premiers Advisory Committee on Gender Issues in KZN.